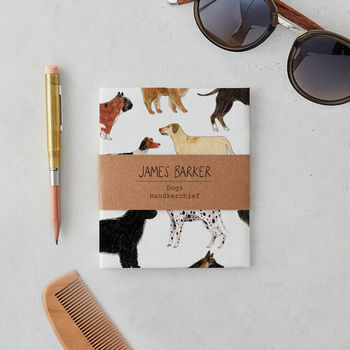 Dog handkerchief and pocket square with over 20 unique illustrations of the man's best friend in a repeat pattern. 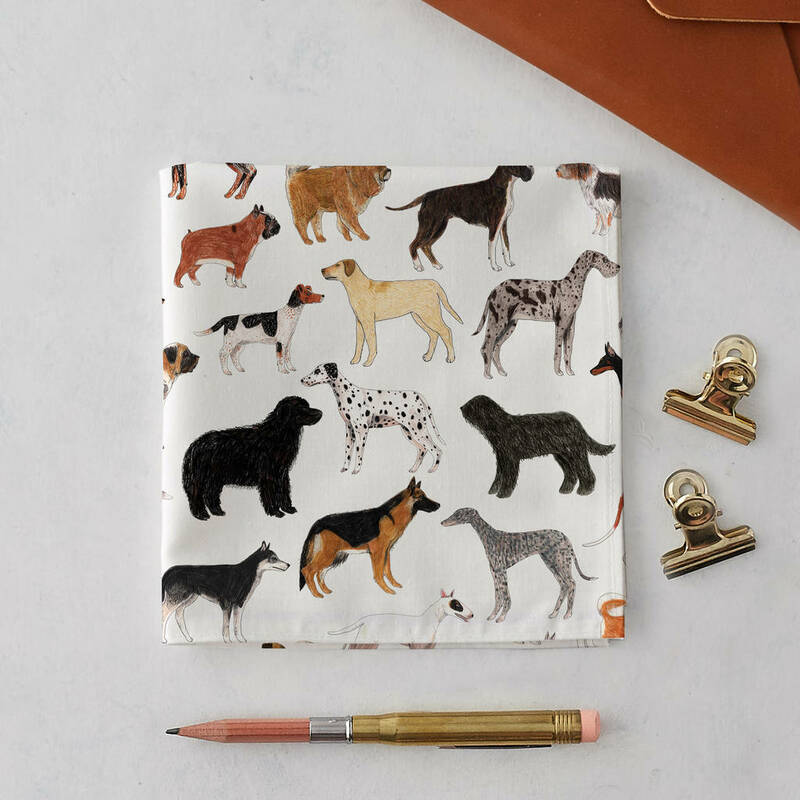 Our Dog handkerchief features exquisite illustrations of well-loved dog breeds, including the Great Dane, Labrador Retriever, Dachshund, Jack Russell Terrier, English Mastiff, French Bulldog, Boxer, Scottish Deerhound, Siberian Husky and Pug in a repeat pattern. 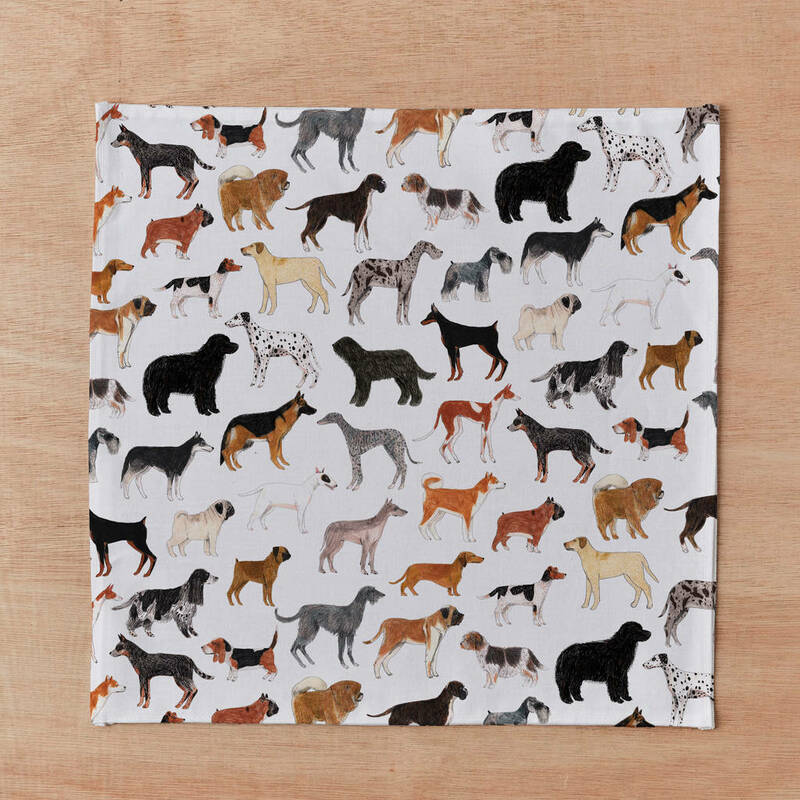 Our Dogs handkerchief would make a fitting and thoughtful gift or stocking filler for dog lovers, friends, and owners. This witty and handy handkerchief can also double up as a charming pocket square which will add personality and wit to a blazer or suit, whether you’re heading for a wedding, party or special occasion. Our handkerchiefs are illustrated by James Barker in his studio in the heart of London and sewn to perfection in Lancashire, UK. 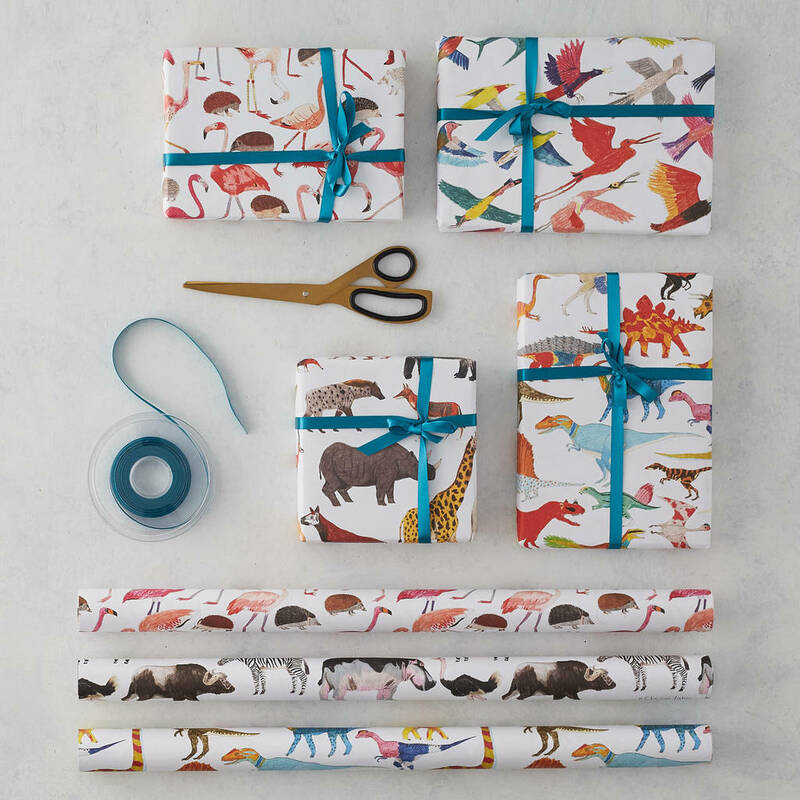 Our illustrated patterns are printed onto 100% high-quality cotton fabric and are vibrant in colour. Handkerchiefs come presented with a kraft paper belly band and protective sleeve. The Dog handkerchief is also available in a gift set which you can customise by picking three handkerchiefs designs of your choice, and comes neatly presented in a box set. This can be found in a further listing on our shop page. Our illustrated patterns are printed onto 100% high-quality cotton fabric and are vibrant in colour. Care instructions: Machine washable. Wash at 30ºC on delicate and tumble dry on a low setting. Each handkerchief measures approximately H35 x W35cm, H13.7 x W13.7in. This product is dispatched to you by James Barker.